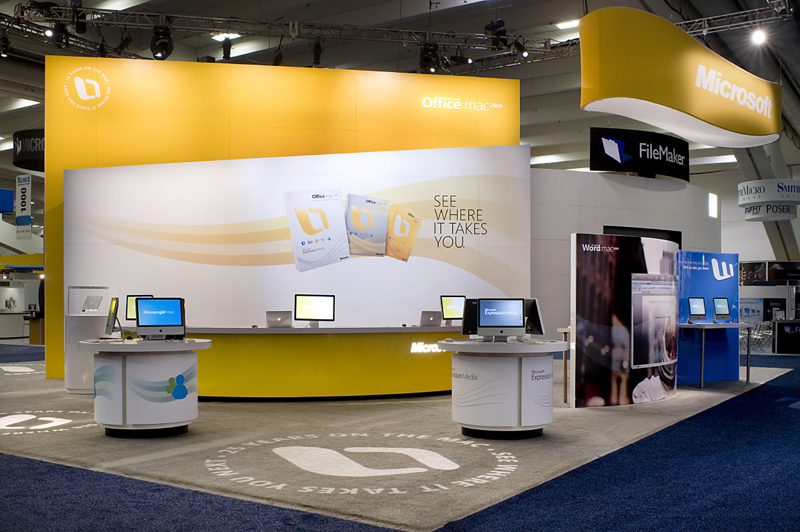 The Ask: Create an engaging and dynamic booth for the 2009 Macworld Expo, featuring the new Microsoft Office for Mac 2008. The Solve: We designed the space architecturally, creating semicircles walls that defined the open area, and gave each feature of the new Office suite a hero space. Each wall featured one of the apps, and live demos of the product.